Last week was, as expected, a crazy busy one. 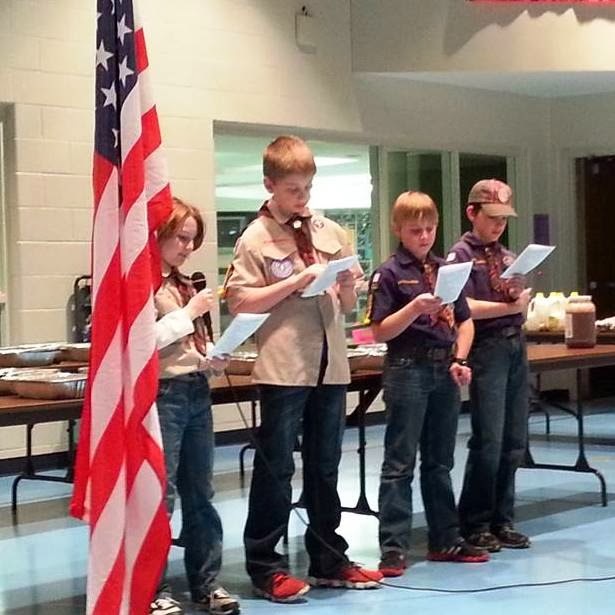 Our son earned his Cub Scout Arrow of Light Award, which was presented at the Pack's Blue & Gold Banquet on Tuesday night. The kicker is that our den was in charge of planning and executing this event, so in addition to the hours of prep time I put into it, I also took Tuesday afternoon off for last minute errands and set-up. That same afternoon, Toad had conferences. 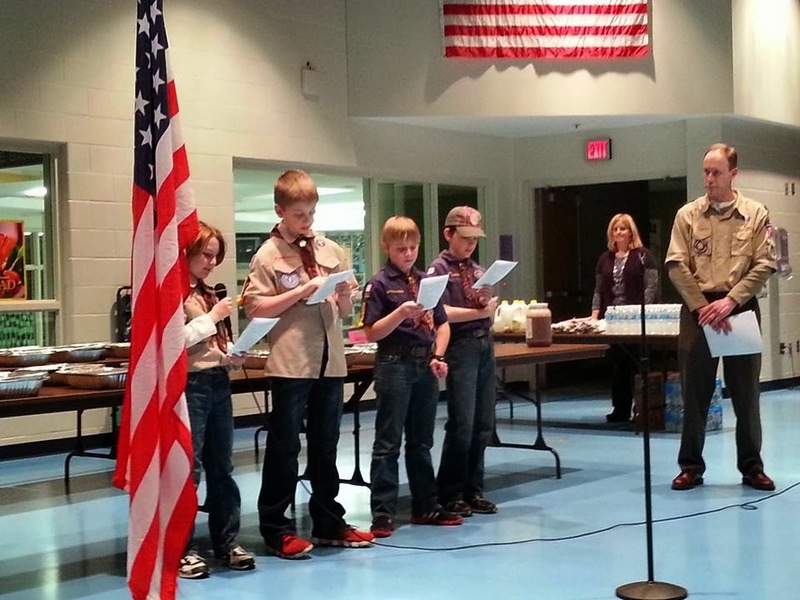 Crazy day, but it was so wonderful to see Toad and the other three Scouts in his den earn this achievement. Now that the Blue & Gold Banquet is behind us (although the tubs of supplies are still stacked up in the kitchen) and the Olympics are over (congratulations to Team Canada on double gold in hockey - if it couldn't be the US, there's no team more deserving, in my opinion), I can really focus on these last few days of Writer Recharge. A huge winter storm that dumped 11 inches of snow on top of already icy roads kept me and the kids home on Friday, so I got a bonus day! We are now in sub-zero temps again, so this week should be pretty fun*. Did I write every day? Yes. I turned in my 30 pages to the MNYA Writers group - a few hours late, but turns out our meeting was postponed. The state patrol advised no driving due to hazardous road conditions for basically all of Minnesota. I've almost finished up a client edit and booked another client for March. 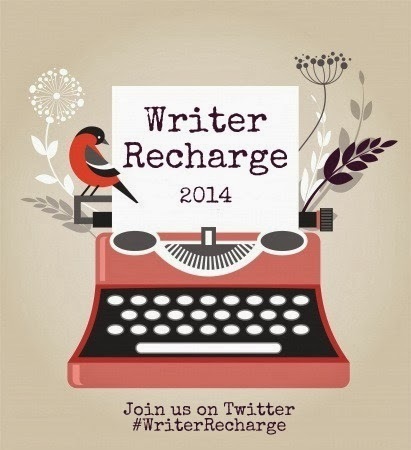 Writer Recharge has been so wonderful - love the encouragement and motivation and the twitter writing parties and knowing that so many of you are working on this challenge as well. Did I reclaim my lunch hour? Yes, every day. And I'm totally digging it. Did I make progress on KEYS? Yes. I had hoped to make it to 40k, but I fell short a few thousand words. No worries, though, because I had a plot epiphany that had me reeling and dying to get the words on paper, so I consider this week a win. I met Lumberjack Lewis, a tall and broad-shouldered freshman who started at defense on the junior varsity team and dressed for varsity, on a Wednesday night. I’d stayed after school to finish a group project for biology and was waiting in the arena lobby for Dom to give me a ride home. I bought a hot chocolate at the concession stand from DeeDee, an older woman with frizzy orange hair who was married to the arena manager. I leaned against the counter and talked with DeeDee about the game against Hillview the next night. Lumberjack walked over from the opposite corner of the lobby and stood next to me at the counter. He reached over, took the cup out of my hand, and helped himself. “I’d have to disagree,” he said. I whipped around to face this – this rude, inconsiderate, self-important jerk. What the hell? I opened my mouth, insults and arguments on the tip of my tongue, and stopped short. Lumberjack Lewis was hot. His post-practice hair was a damp, dark, curly mess. His light-blue-almost-grey eyes twinkled under the dim, hazy light of the lobby. He smiled – his teeth were crooked and it looked like at least one was chipped – and I was a goner. He nodded and that was the beginning of us. My goals for this, the last week of Writer Recharge: to get to 50k on KEYS, which basically means I'll be doing nothing but writing during my non-work, non-parenting time. That's it! Friday, February 28 is our last official day of Writer Recharge. You can choose to post your final update that day or on Monday, March 3 if you want to sneak in one final weekend. I'll have a post up on Friday for you to add your link whenever you'd like. Mwaaaaaah, love your snow fort! Well done! And well done on the progress this week and this whole month! I have to say, I absolutely ADORE the name Lumberjack Lewis. *thumbs up* Best of luck plowing through the rest! And...hope the weather becomes a bit milder on your side of the world, even though that fort looks like fun! Stay warm this week and write much! Eleven inches? Wow! I think we've seen the last of snow for the next ten months. We need to blow some warm air your way, Sara! Congrats on the progress you've made--especially reclaiming your lunch hour. Hopefully you've established a habit that will last well beyond this month. I hope you have a really productive last Recharge week! That last line of your excerpt -- He nodded and that was the beginning of us. -- makes me want to read the whole thing. Love how simple it is, but that it says so much. 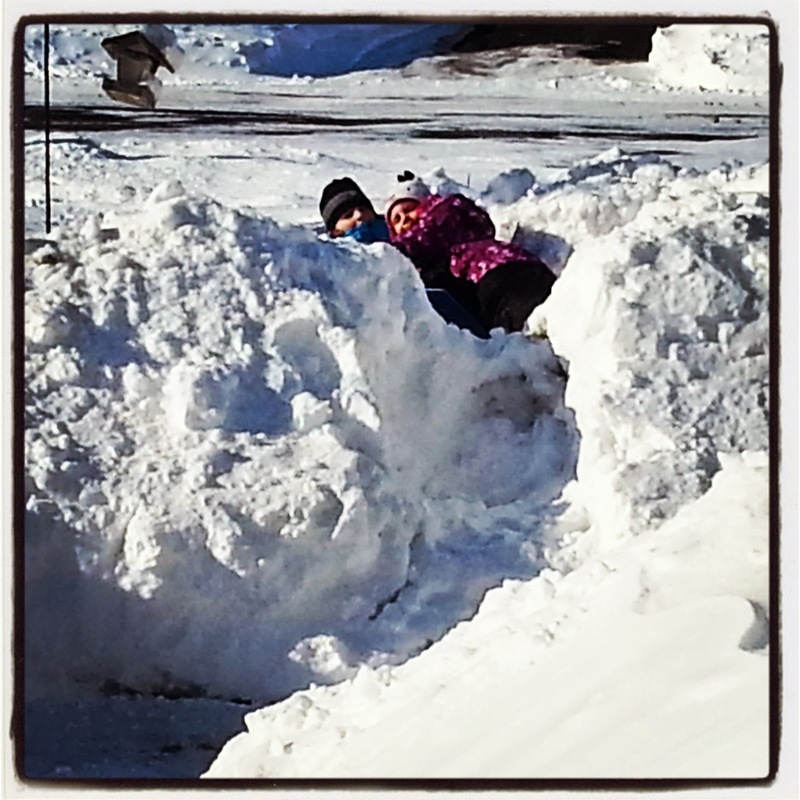 So sorry about all that snow, but it looks like your kiddos are having fun at least. Here's hoping you can maintain your sanity until it all melts. And here's to getting lots of writing done. Best of luck with KEYS, Sara! Okay, I must have more Lumberjack Lewis! Congrats to your little guy, what a great achievement! Glad to see how much progress you've made with your writing! I could do with a few snow days just to have more hours to write. Instead we seem to be getting sun and Spring early. Not that I should complain. This is quite warm for the North for once! We do have a strike day coming up so I'll have an hour for lunch instead. Definitely going to use that extra time for any writing I want to do! Gah, all that snow! Will winter never end? And your excerpt is killing me: "He nodded and that was the beginning of us." YES. I LOVED the excerpt!!! And all that snow - if we got snow that fun and pretty here, I'd be okay with having more of it. Ours is always ice and sloshy and not conducive to snowball fights and building Olafs. I hope you enjoyed it. And congrats too to Toad! How exciting! Good luck this week on that 50K. I'm cheering you on!